CraigGoebbel – NMLS #139637 | Creating clarity in the complex world of residential real estate and real estate finance. Written by Craig Goebbel. I find it fascinating how the talking heads of all media treat everything as if it has already happened. Tax reform is not yet out the House, needs to clear the Senate then get signed into law. Based on what I have read, most taxpayers will see a reduction in their annual taxes. Some taxpayers in the higher brackets will experience a reduction in their deductions for home mortgage interest, property taxes and state income tax. However, current homeowners will see no change in their mortgage deduction status for any loan already in place. New homeowners will fall under the new rules. However, all of this is moot until a final bill is signed into law. I don’t see anything in the bill that would put a brake on housing based on our overall economy. Long term rates have risen and are predicted to rise a little further through next year. When long term treasury rates rise, so do mortgage rates. Speculation about a boost in economic growth, higher inflation rates and international trade wars are fueling this rise. What does this mean for you? Nothing if you have locked in a rate below 4% for your home loan. If you are looking for a home or did not lock in a rate for your refinance, expect your interest rate to be higher than quotes you had a week ago. Is this speculation premature? Perhaps, economists caution their forecasts are tentative. The marketplace does not like uncertainty so expect a bumpy ride until a clearer picture of a Trump administration and its policies are evident. As for forecasts by economists, if you want four opinions about the economy, ask three economists. On April 11th, 2011 I wrote about a sweet spot in our regional market. At the time the median price of a home was about 10% below what the median income of our region would dictate. My prediction was median home prices would rise as potential home buyer’s caught on to the bargain. I was right. 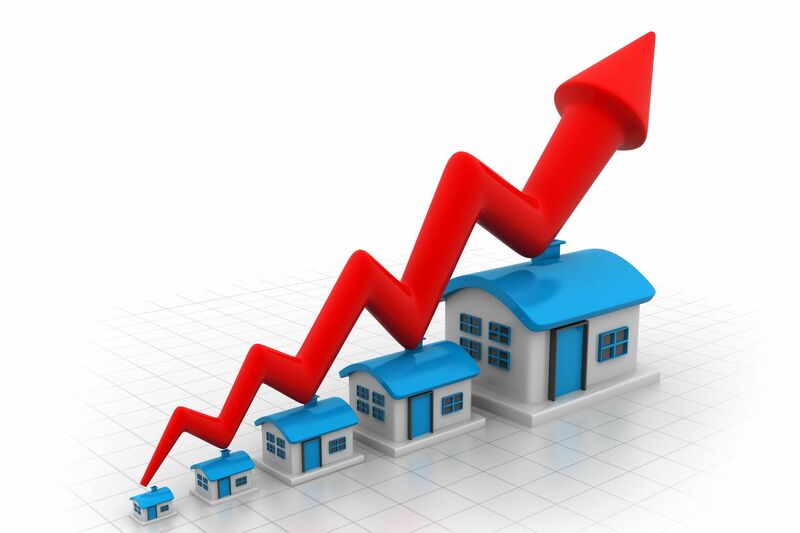 Home values across the region started rising. I believe we are at another sweet spot in our regional market due to a few things coming together. Second, inventory is pretty good. There are many homes listed in the region with some area’s chock full of real bargains, listed at price points that will seem crazy three years from now. Last, buyers are holding back and we are seeing price drops on listings. These price drops are not large, but they are drops. This makes it easier for you to negotiate things like seller paid closing costs. I believe you can make a good argument for the consumers notion it is extremely difficult getting a mortgage loan. We all know the horror stories of incessant demands for documentation, documentation and more documentation? Ok, we get it. But seriously, it boils down to nailing down your current financial situation, analyzing what you can afford based on all of your information and then approving your loan. This is how things are today, by rules, regulation and frankly, sound lending practices. Many are jumping through the hoops and getting approved. Granted, you need to put your financial life on hold until the process is over but it is well worth it. You move yourself from renting to owning and paying off a mortgage with an interest rate at a historically low level while your housing asset predictably appreciates over the long haul. What is the bottom line? We are in another sweet spot and now is a great time to buy a home! Should you worry about list prices dropping a little? Not at all. The fundamentals for the Puget Sound Region are very strong moving forward. *Rates and fees are determined by your credit score, down payment, loan type and other factors so always seek a quote from a reliable source that includes an APR calculation. Understand, all loan terms, including the available rate and APR are subject to change without notice until all qualifying criteria for a specific loan transaction have been established. Consult your lender for details. Shopping for a home loan can be daunting. What makes this process confusing is each lender will present their closing costs and pre-paid items in different ways and typically in different places. Add to this the forms required by law (Good Faith Estimate, Truth In Lending) and getting to the bottom line is even more daunting. 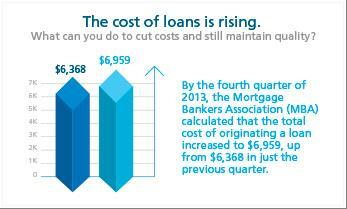 After you have done this, whatever lender has the lowest cost is the best deal for you. Why does this work? Pre-paid charges are computed the same with every lender because they are based on the actual cost for each item. Every escrow company computes pre-paid charges in the same way when closing your transaction so these fees are the same for everyone. Other than the pre-paids, everything else is classified as a closing cost. You may have read guidelines that say the APR is the best way to determine the best deal. Unfortunately, lenders have slight variations on how they compute APR so this calculation is not reliable. The Rule Of Same will reliably get you to the best bottom line every time. Yesterday, Freddie Mac released its market outlook for August. In short, the report focused on the economy getting back to a more normal state, with housing being driven by the fundamentals. What are the housing fundamentals that will drive this “more normal” economy? New job formation. Through July, the labor market has added 230,000 new jobs. Robust? No, but better than shrinkage. No one likes shrinkage. Household formation. In the last four quarters net household formation totaled 458,000 compared to a forecast of at least 1.2 million. It is not shrinkage but those basements and extra bedrooms must be close to capacity. Tucking away over 800,000 households into existing households must create a strain, and greater pent-up demand. The mortgage payment-to-rent ratio is near the lowest in 35 years. With a good rental history for the last two years there is a good possibility you can buy. The current forecast is for continued economic growth and the unemployment rate on a gradual decline. These two factors should contribute to an even bigger bubble of pent-up demand. What can this mean for housing? Pent up demand suddenly unleashed, coupled with a low inventory of resale and new construction listings would create another surge in home prices if rates stay in their current range. Only those at the top of the income levels would be the best candidates to actually purchase that first home. Did you know you can be gifted the entire down payment for a mortgage loan? That is right and lending guidelines allow you to borrow up to 96.5% of the cost of purchasing and major remodeling of a beat up home. With as little as 3.5% of the total cost (which can be gifted) you can make an offer, purchase and have the money set aside for the remodel. Pretty cool, huh? What about mortgage loans? Loan applications are down across the board. Every lender is scratching for loan closings. What does this mean for you? You can really negotiate a great deal. Contact me if you want to learn the five easy steps to shop for a loan. When it comes to that credit approval waiting for the offer to be accepted, what was good last month may not be good today. Guideline’s and lenders interpretation of same are very tight and getting tighter. Consider this, Chase and Wells Fargo are steering very clear of any mortgage transaction that is remotely close to the outer edges of “the guidelines” because they are fearful of massive buybacks. 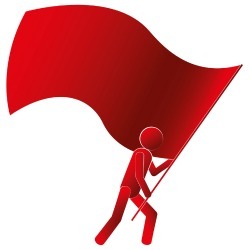 What are the red flags you need to be aware of with any transaction? DTI- this is Debt to Income ratio. The maximum ratio is 43.99% for conventional loans with extra latitude for FHA loans. VA uses a residual income approach. 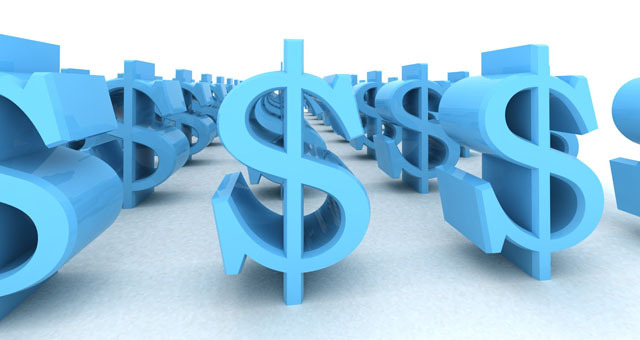 On each loan the key component is how income is calculated. In many transactions I have seen this year; the adjustments to income can seem draconian. Think worst case scenario and adjust downward from there until your banker issues that credit approval. Housing to Income Ratio – the same approach to income but the preferred ratio is 28%. You need every other part of the credit package to be solid to venture above this. Income – what used to work may not work anymore. The self-employed seem to be the hardest hit and this has always been the case. However, a downward blip on last year’s income can send lenders running because of the “ability to repay” component of a Qualified Mortgage. There really is no guidance on what “ability to repay” means and this is why big banks are running for fear of buybacks. What does this mean for you? Make certain you understand all of the components of your credit approval whether the buyer’s agent or the buyer. Once your credit approval is in place, put your financial picture in stasis until the transaction is closed. Where is the best place to seek a credit approval? I am partial to the small, independent mortgage company with a local presence and a record of longevity. Unlike big banks, they only have one way to make money and that is closing loans. The cost of originating a loan literally jumped from one quarter to the next, caused primarily by coping with compliance. What does this mean for the consumer? Certainly, increased costs will be covered by higher fees and/or higher rates. 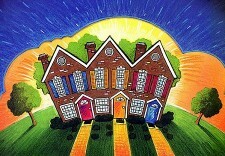 Expect cash strapped first time buyers to be insistent on closing costs being paid by sellers. Will this put a strain on valuation when it is time to appraise? Right now, this is not likely with the shortage of inventory. However, when things cool down (they always do) expect real challenges getting top value for a seller while the buyer seeks the concessions they need to close. Nationally, we are in a housing recovery but from my view, it is tenuous. In our region, the market is strong and will likely stay that way, unless rates take a ridiculous and unexpected jump. What does this mean for you? I recommend making hay while the sun shines. West Seattle Bridge View by Chase Goebbel. Chase is exploring Seattle through the lens of a camera. I believe his vantage point for all things Seattle captures the essense of the city. Creating clarity in the complex world of residential real estate and real estate finance. Written by Craig Goebbel. Craig works from University Place, Washington. However, he can be available most anywhere in the Puget Sound Basin for individual, small or large group meetings.. The views and opinions expressed on this site are solely those of Craig Goebbel. These views and opinions do not represent any official policies or positions of any other real estate enterprise, real or imagined. Click here to visit the Consumer Financial Protection Bureau! Equal access to housing is your right.